Why Fee Only & Independent? 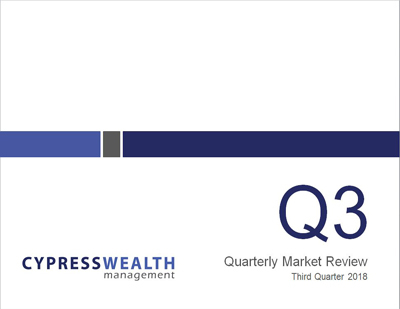 Every quarter we publish our Capital Markets Review for the benefit of our clients and others. We believe that markets work, and as managers, we add value through a deep understanding of our clients and their needs. Then we implement a portfolio designed specifically to meet them. In keeping with our philosophy, the review provides detailed information about the global markets we use to build portfolios. It begins with a global overview and includes a timeline of events over the previous quarter. The review then features the returns of various stock and bond asset classes in the US and international markets. The opinions voiced in this material are for general information only and are not intended to provide specific advice or recommendations for any individual. To determine which investment(s) may be appropriate for you, consult your financial advisor prior to investing. All performance referenced is historical and is no guarantee of future results. All indices are unmanaged and cannot be invested into directly. Investing involves risk including loss of principal. This entry was posted on Monday, October 8th, 2018 at 8:18 pm	and is filed under Uncategorized. You can follow any responses to this entry through the RSS 2.0 feed. You can leave a response, or trackback from your own site. Cypress Wealth Management offers fee only wealth management, through tax aware financial planning, investment advice and other financial services. Your advisor works directly for you and receives no commissions or external fees from recommendations regarding advice on investments, retirement planning, estate planning or insurance. © 2015 Cypress Wealth Management, LLC. All rights reserved.